Gerry grew up helping work the family farm in Shelbyville, Ky. The farm raised cattle, tobacco, and hay crops. He was involved in FFA and 4H during his youth. The past 20 years, he and his family have owned and operated a large plant nursery and garden center in eastern Jefferson County. He has also owned racehorses for the past 15 years and has a great passion for the sport. He is looking forward to putting his farm knowledge and passion together here at WinStar. He and Lisa have a grown son and daughter. Natanya Nieman grew up in Lexington. She rode dressage and event horses, worked at thoroughbred sales, and worked on Thoroughbred and Standardbred farms throughout college. In 1994, she graduated from the University of Kentucky with a Bachelor's degree in Agriculture Biotechnology. After college, she attended veterinary school at The Ohio State University and graduated in 1998. 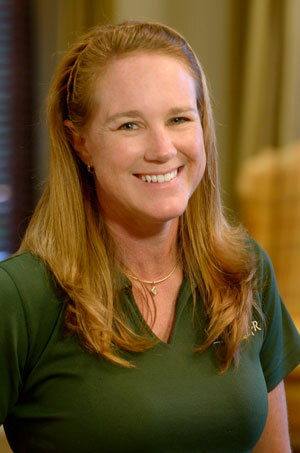 By 1999, Natanya had completed an internship at Peterson and Smith Equine Hospital in Ocala, Florida. She then worked at Woodford Veterinary Clinic from 1999-2002. Natanya has been with WinStar for 10 years now. She is married to Mike McMahon from Saratoga Springs, NY. WinStar-bred Kentucky Derby Champion Funny Cide was born on his father's McMahon Thoroughbred Farm in New York. Page spent most of her childhood growing up between Lexington, KY and Franklin, TN. Though she enjoyed helping on her family’s cattle farm in Tennessee, she always had more of a passion for horses. She grew up showing in hunters, jumpers and eventing as well as participating in 4-H, Pony Club and fox hunting. Her interest in veterinary medicine and appreciation for Thoroughbreds grew through her work at Riverview Polo Farm where she groomed and helped train “green” horses. She continued working with polo horses and broodmares during college and veterinary school. Page graduated with a Bachelor’s Degree in Animal Science and a minor in Biology in 2009 and received her Doctor of Veterinary Medicine Degree in 2014, all from the University of Tennessee. She was then very happy to return to Lexington and completed a field care internship at Hagyard Equine Medical Institute before starting her job as an Associate Resident Veterinarian at Winstar Farm. 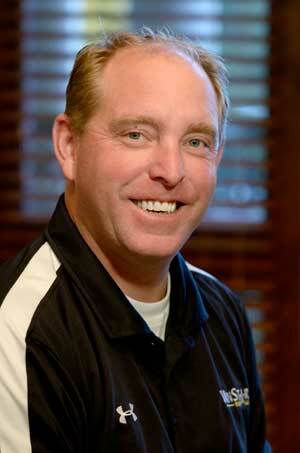 Larry grew up in Lexington and attended Lexington Catholic High School. Having always been interested in Keeneland and the thoroughbred business, Larry entered the business and started a sales agency in 1997. In 1998, Larry began work for Prestonwood Farm as Assistant Manager and remained in the position when WinStar purchased the farm. 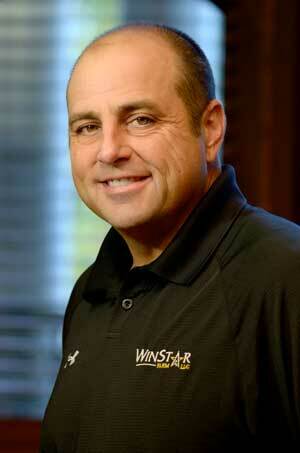 In 2001, Larry was named Stallion Manager for WinStar Farm. Larry's dedication shows in everything he does. "Each stallion has his own, distinct personality," says Larry. "Just like people, horses respond differently. It's important to get to know each stallion and work with them as individuals." A third generation horseman, Donnie Preston was born and raised in Central Kentucky where he graduated from Woodford County High School and worked part-time at Airdrie Stud in Versailles. After attending Anderson University on a track scholarship, Donnie realized his real interest was working with horses. He returned to Airdrie Stud full-time in 1988 and remained there until 2002 when he was hired by WinStar. When asked about the job, Donnie replied, "Being here is a great experience, and getting to work with the quality of horse, state-of-the-art technology, and experienced horsemen at WinStar has been the opportunity of a lifetime." Ryan was born and raised in Lake George, New York, and entered the thoroughbred industry in 2005 at Stonebridge Farm as a groom. 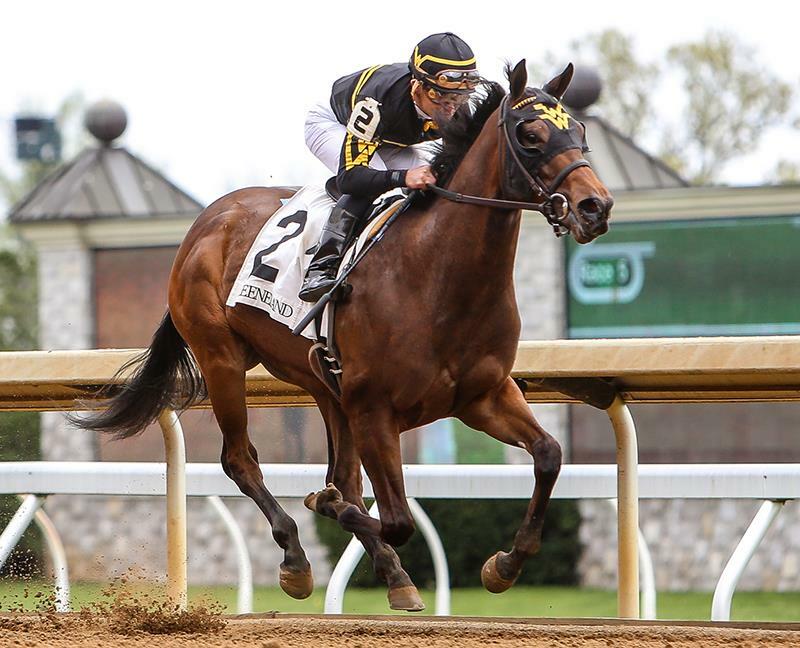 He slowly worked his way up to yearling manager as well as assisting in management of the entire farm, prepping and selling quality thoroughbreds in New York, Maryland and Kentucky. After a ten year dedication, Ryan took a position as Assistant Manager at Chestertown Farm for leading breeder of New York: Chester and Mary Browman. Ryan and his wife Brittany are excited to both be dedicated to the WinStar team as well as their two dogs, Booker and Bo. Jeff is originally from Southern Illinois, but he claims St. Louis, Missouri as his hometown. Growing up he was exposed to agriculture through his Uncle’s family farm. Jeff started working with horses at Boy Scout camp when he was 12 and later exchanged labor for free riding lessons at a local Arabian horse farm. Jeff went to college at Truman State University and studied Agriculture, specializing in Animal Science. He met his wife Nickie in college and she is the one who got him interested in the thoroughbred breeding industry. After graduating in 2002, Jeff relocated to Central Kentucky and immediately started working on Thoroughbred breeding farms. Starting as a groom and working his way up, Jeff worked at Crestwood and Margaux Farms before being hired as the Assistant Broodmare Manager at Overbrook Farm in 2004. After 1 year at Overbrook he was promoted to Broodmare Manager and retained that position until the farm closed in 2008. After Overbrook closed Jeff moved to Starwood Farm as their Farm Manager, after 4 years at Starwood Jeff accepted the Broodmare Manager position at WinStar Farm. Jeff lives on WinStar with his wife and 2 sons, Elijah and Gabriel. 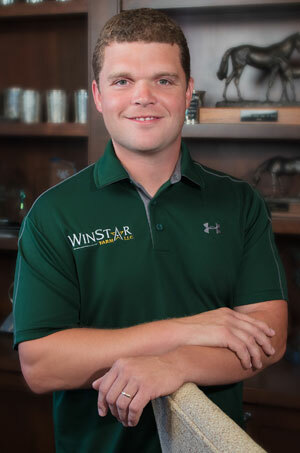 He is excited about the opportunity, and the challenges that come with managing a large herd of broodmares, and he is happy to be a part of the team at WinStar Farm. Jimmy is currently a resident of Woodford County where he has lived all of his life. He came to WinStar in December 2002. His father worked with horses his entire life, therefore, he decided to follow in his footsteps. 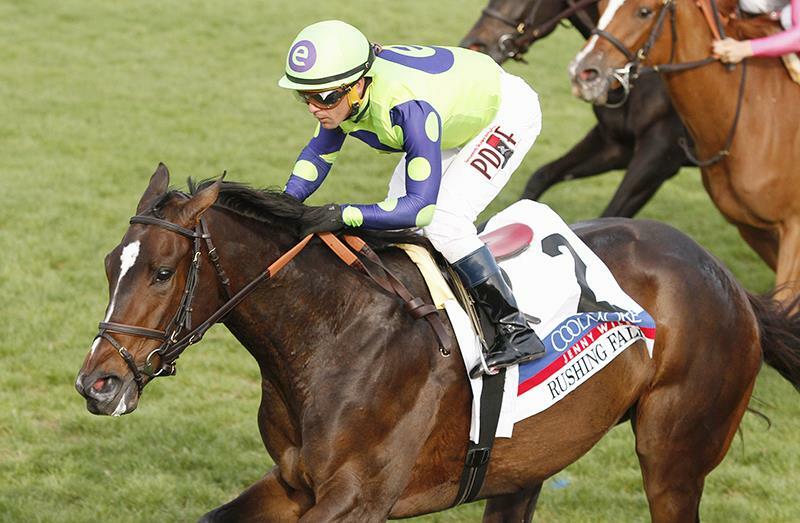 He has had the chance to work at many great and well-known farms such as Ashford Stud and Lane’s End Farm. Jimmy has done a little bit of everything in this industry from cleaning stalls to grooming horses. Jimmy is currently the Assistant Broodmare Manager here at WinStar Farm. Alissa was born in Michigan but raised in Salem, Indiana. A lifelong horseperson, she grew up around Thoroughbreds at Ledgerwood Farms, her family’s farm, as well as working through college at smaller farms nearby. She has mainly worked with mares and foals, citing the first time she witnessed a foaling as the moment that sparked her passion. Alissa graduated from Indiana University Southeast studying Spanish in 2010, then the University of Louisville in 2012, receiving a Post-Baccalaureate Certificate in Equine Business Administration. After school Alissa moved to Kentucky to take the position of Foaling Manager at Crestwood Farm where she gained valuable experience in many areas of the industry prior to coming to Winstar. Originally from Southern Kentucky, Chris was exposed to agriculture on his family’s farm. He started working with horses by breaking and training on his family farm and later showed horses for a family friend. Chris graduated with a B.A. of Animal Sciences from the University of Kentucky and became interested in Thoroughbreds. He began as a groom working at Fares Farm in Lexington, Kentucky and eventually was promoted to Assistant Farm Manager until the farm’s close in 2013. Chris then became Broodmare Manager at Brookdale Farm in Versailles, Kentucky and most recently was Farm Manager for Baccari Bloodstock. Terry Arnold, a third-generation horseman with 35 years of farm management experience, has been hired as WinStar Farm’s Rehabilitation and Breaking Manager, the farm announced today. Arnold has been responsible for either breaking, training, rehabbing, or prepping such Graded stakes winners as Alphabet Soup, Yes It’s True, Clear Mandate, Larrier, Tareef, Tricky Creek, Benny the Bull, West By West, and Annie Apple. Arnold studied agricultural economics at the University of Kentucky. After graduation, he spent three years as the farm manager at Payson Stud, followed by six years at Waggoner Farm, helping the operation rise to become a Top 10 breeding farm in the country twice with a broodmare band of 12. He was also farm manager at Dixiana Farm, a position he held for the past 16 years. Arnold grew up working with Thoroughbreds on the family farm, where the transition from farm to racetrack was a major priority for young, growing horses. His father, George Arnold Sr., was a trainer, his brother, George “Rusty” Arnold, is a leading East Coast trainer, and his grandfather, James Russell Arnold, was a manager at the famed Elmendorf Farm. Arnold and his wife, Barbara, who is also from a horse family, have two children, James and Alex, and they reside on their family farm in Lexington. John brings 20 years of experience in the thoroughbred industry to WinStar Farm. He worked for Gainsborough Farm for 13 years, working in all areas from broodmares to foaling. As the stallion barn foreman, he had the privilege of taking care of Hansel, Shadeed, Quiet American, and Elusive Quality. John has also worked with the stallions at Adena Springs before the farm moved to Paris, KY. Most recently, John was the manager of Frankfort Park Farm overseeing the farm and sales operation. Currently, John resides in Lawrenceburg with his wife Emily and two sons, Dalton and Lucas. Lanie was born and raised in the Texas Hill Country, where her family has a small breeding operation with racing Quarter Horses. She attended Texas A&M University. While still in school, a professor introduced her to central Kentucky on a school trip. This led to an internship at KESMARC Kentucky in Versailles. After graduating in 2005 with a Bachelor's degree in Animal Science, Lanie made the move to Lexington. She returned to KESMARC Kentucky, working there for eight years. She then briefly managed a small farm in Midway before being hired by Winstar. Destin is a native of Norman, Oklahoma. From an early age his dream was to train Thoroughbreds in Kentucky. He spent his youth riding and showing horses in both English and Western disciplines. He began working with racehorses at the age of sixteen, galloping and breaking babies. Soon after Destin began working part-time, and eventually full-time for Hall of Fame trainer D. Wayne Lukas in 2008. 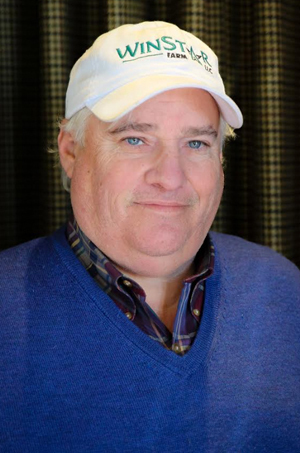 While attending college he continued to pursue his dream in the thoroughbred industry while working as an exercise rider and assistant trainer to trainer Tom Drury, Jr. In 2012 he graduated from the University of Louisville with a Bachelor of Science in Equine Business Administration, with a minor in Management. Destin is excited about the opportunity to continue expanding his knowledge base at a world class operation. Alexandra Valder was born and raised in Tampa, Florida where she started riding at the age of 10. She quickly grew to enjoy jumping, pleasure riding, and caring for her Arabian rescue mare, Hawk Hill Psychic. In 2008, Alex did a brief Summer internship at KESMARC Florida where her interest in rehab emerged. Originally pursuing a degree in athletic training and competing in springboard diving at Florida Gulf Coast University, she decided to alter her path to pursue her degree in the Equine Industry. From here, she intended to merge her two most beloved niches, sports medicine and equine health, into one career. In the Fall of 2012, she transferred to the University of Florida. In the Summer of 2013, she landed an internship with the Drawdy Training Facility in Central Florida, where she was hired as an assistant trainer and foreman. She graduated in 2014 with a Bachelor of Science degree from the University of Florida majoring in Animal Science with a concentration in Equine Science, as well as a minor in Agribusiness. Alex started working at WinStar Farm LLC in August of 2014. She aspires to move up in the company and make a positive impact on the farm and the racehorse industry. Tony was born and raised in Eastern KY, becoming involved with the Future Farmers of America at a young age. He displayed his love of farming in his previous jobs as a herdsman for a large dairy farm in Virginia and at the Miller Thoroughbred Farm in Woodford County. Tony brought his vast farming knowledge to WinStar Farm in 2003 as Pasture Foreman. In 2013, Tony was promoted to Assistant Maintenance Manager. Tony lives on the farm with his wife Connie. Born and raised in New Hampshire, Chelsea is from a close-knit family. She is the fourth of eight children and has always loved animals. From the time she could pick up a pitchfork, she would trade stall cleaning for riding time at a local Morgan Farm a mile away. Her first introduction to and love for the Thoroughbreds came on May 3rd, 2003. She had spent the day cleaning stalls and picking rocks from the paddocks and had just finished walking home when her father said “Chelsea, the Kentucky Derby is on. She just stood there awestruck as she watched the gelding Funny Cide run and win that year. She exclaimed, “I am going to have one of those horses one day, and it will win.” She was hooked. At WinStar, her goal is to assist in the improvement of their operations by supervising our safety and quality control. 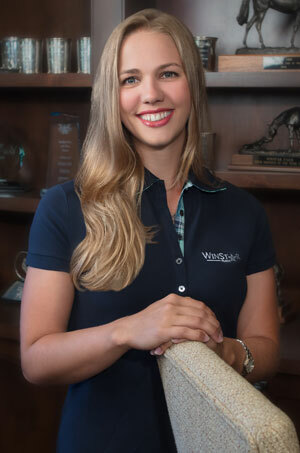 As a team member, she hopes to be able to help continue to make WinStar one of the best thoroughbred breeding and racing operations in the world.